I know that I am not in any way alone in having vivid memories of Michael Jackson. 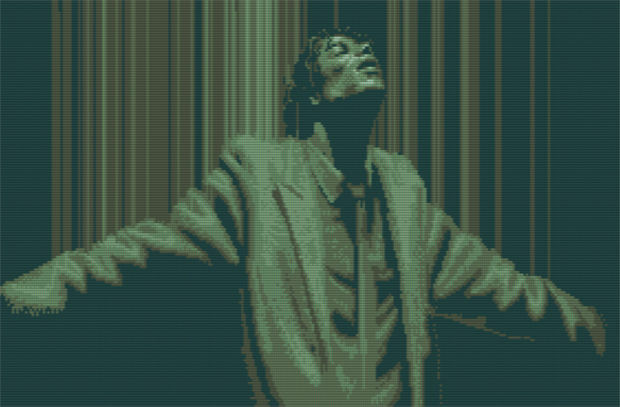 It's probably impossible to have been sentient in the 1980's and not have the King of Pop firmly in your recollection. As a child during that time, however, the musician left a positively indelible mark on my life. At the age of five, I could be found most evenings in my parents' living room, wearing headphones that enveloped my tiny skull and listening to Thriller on vinyl. I knew all the lyrics to all the songs and my favorite was Jackson's duet with Paul McCartney, "The Girl is Mine." That album never left the turntable until I carelessly scratched it, something neither my mother nor I have ever really forgiven. When Bad came out in 1988, I begged my folks to buy me a copy on cassette. Seized wholly by the title track (and the convenience of it being the lead-in to the album), I only heard the other songs by accident as I repeatedly rewound the tape to listen again and again. In an even more egregious error, I loaned the cassette to a neighborhood kid who never returned it. It would be roughly a decade before I ever loaned any possession of mine without something in trade as a result. In the early nineties, my elementary school held an assembly program where we watched Moonwalker, the feature film which released following his worldwide tour for Bad. My memory tells me that the purpose of this diversion was part of an anti-drug program aimed at scaring kids away from pharmacological pursuits. I walked away with two far more important pieces of knowledge: Jackson is terrifying as a claymation rabbit and Joe Pesci should always wear a tiny ponytail (and tinier sunglasses). 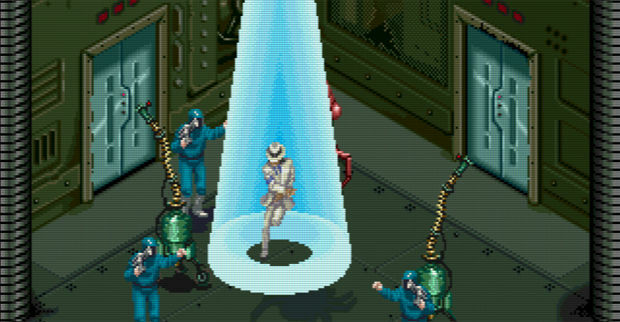 And then, there was the Moonwalker videogame, which I played any time I saw it in an arcade. It was, to my ten-year-old self, an amazing combination of two things that I absolutely loved. 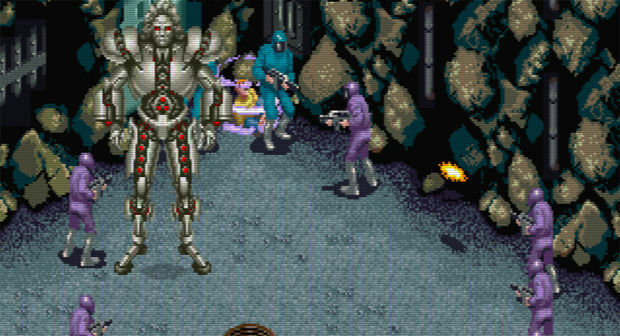 The Moonwalker arcade game was a three-quarters perspective beat-em-up. 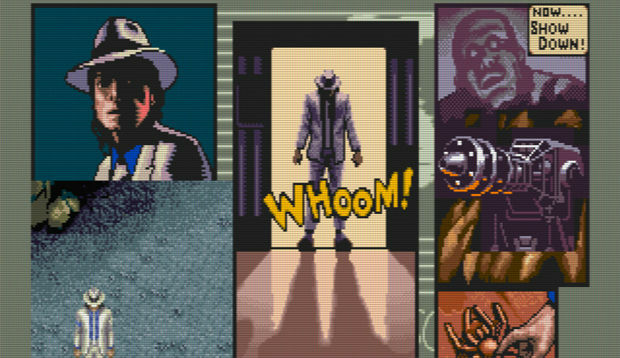 Players take control of Michael across five stages as he attempts to defeat megalomaniacal drug kingpin, Mr. Big, and rescue children kidnapped by the villain. 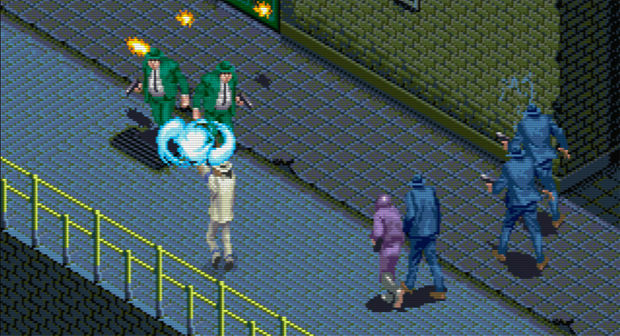 Michael fights Mr. Big's gangster underlings and robots through city streets, the Club '30s setting from the "Smooth Criminal" music video and a moon base in five stages. To defeat enemies, Michael fires a magical energy from his hands. This attack can be charged up to increase its range and damage by holding the attack button. The charged attack cycles through five levels of power and must be released at the right time to unleash its maximum effect, lest it return to the weakest strength. In addition to this standard attack, Michael can unleash "Dance Magic." 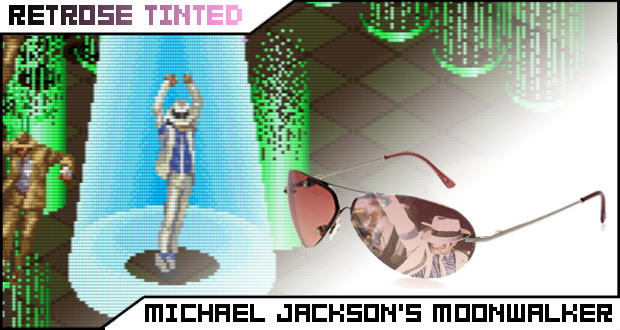 When activated, the environment dims and a spotlight appears over Michael who begins one of his trademark dance routines. The music changes to a different Jackson song and enemies onscreen dance with him before being destroyed by a surge of power which differs depending on which of the three routines Michael performs. The last form of attack comes from interacting with Bubbles, Michael's famous pet chimpanzee. Once per level, the simian appears and touching him transforms Michael into a robot. In this form, Michael fires lasers and holding the button for even a brief period of time adds a pair of missiles to his attacks. While the main goal of the game is to defeat Mr. Big, rescuing children is necessary to progress through stages. Every level has children bound with ropes who must be saved before the exit to the next area will open. Occassionally, these children will reward Michael with some health restoration or an extra use of Dance Magic. Each stage features a different tune by Jackson, with the exception of the first and fifth, which both use "Bad" as background music. Oddly, the fourth level of the game (which features a graveyard and zombie enemies) plays "Another Part of Me" instead of "Thriller," though the song does appear during Dance Magic sequences on that stage. The tunes are recognizeable but I would not call them exceptional chiptune interpretations. Visually, it's a bit hot and cold. Of particular note are the comic book-style panels used to tell the game's story. Big and beautiful, they really catch the eye. By contrast, sprites aren't overly detailed but they look good. Animations for Michael are excellent, particularly during his dance sequences. Other characters very obviously did not get the same level of attention but you aren't likely to be playing a game starring Michael Jackson to see how well his enemies can get down. I find it to be great fun to play. Simple enough for just about anybody and it feels like something Jackson was behind. The gameplay is derivative and may pale next to some of its brawler contemporaries, sure, but you show me another where touching a chimp turns you into a killing machine. The game has the capability for three players simultaneously too -- provided that the machine has the controls -- and that's something I'm always in favor of. One thing which differs from my recollection of the game is how short it is. The entire game can be played through in under twenty minutes, which is far from unheard of in arcade games but still took me by surprise. While most stages are made up of a few sections, the first is very brief and is over almost as quickly as it starts. Another part of what makes it fly by so quickly is that the difficulty is rather low on default settings. I was able to complete it in eight credits on my first playthrough in years and that could likely be halved without too much effort. Even if it is a little brief and a bit easy, it's still quite enjoyable and it's refreshing to play an arcade game which doesn't just seem out to eat your quarters. Sadly, the odds of playing Moonwalker on an original cabinet are exceptionally low today, even at an arcade with a large selection. The title is one on which Sega chose to implement their "suicide battery," a lithium battery connected to RAM containing the decryption key necessary to decode the ROM. Once the battery is dead, the game becomes non-functional and require service directly from Sega. Bootleg boards do exist and are the source of currently available ROMs, but they are incompatible with original Sega System 16 arcade hardware. If you should find a cabinet, feed it a quarter. Even if you have never been a fan of the "Gloved One" -- something I can't really fathom, but I'm sure there's someone out there -- it's really pretty unique as a game. The simple charm, combined with the evident style of Jackson, makes it worth at least that much of an investment. On a final, personal note, I'd just like to say that I never really realized how important Michael Jackson was to me until this past week when he suddenly passed away. I can not speak to what he went through in the latter third of his life, nor do I think that anybody honestly can. I am comforted, however, that the man will almost certainly be remembered not for the controversy which surrounded him but for the gift of entertainment that he gave the world, including Moonwalker. Thank you, Michael, for everything that you gave.